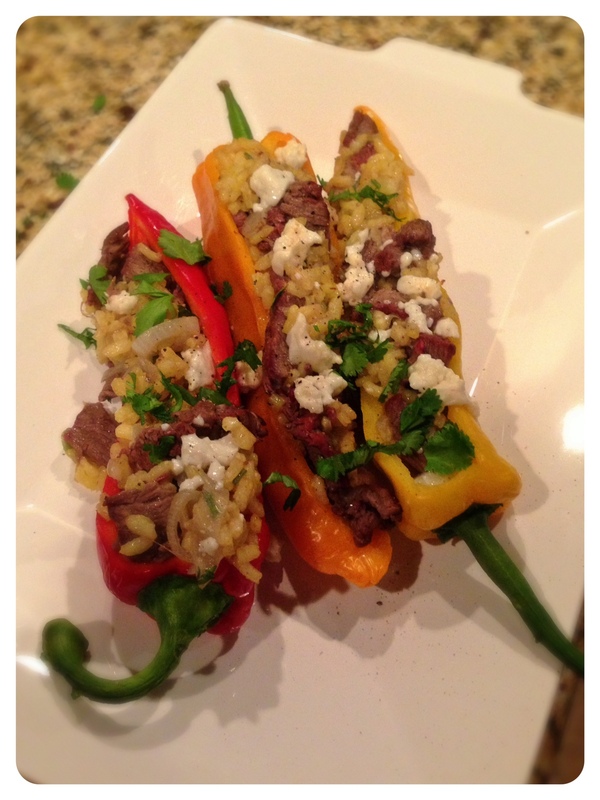 Grilled Inside Out Fajitas: Peppers Stuffed with Steak and Onions | Kitchenpants! Are you a list maker? I am. I love lists. I make them all the time: things to do, processes to follow, what to pack, places to see, books to read. I make lists everywhere. There are lists in my phone, in my planner, on scrap paper, post-its, and several that exist only in my head. When life is really hectic, I will make a list. List-making is a go-to coping mechanism for me. This is why it is odd – and perhaps slightly amusing – that I cannot be bothered with a grocery list. This is not to say that I haven’t tried. My intentions are good. I have diligently hovered over a pad of paper and laid out top-notch grocery lists. Yes, top-notch. I have audited the contents of the pantry and the refrigerator, planned meals based on everyone’s schedule, and organized the list according to the layout of the grocery store. Top. Notch. Then? I proceed to leave the house without the list or leave it on my dashboard or in my bag while I shop. And let me tell you, it’s not that I am forgetful. I’m pretty sure I deliberately leave the list to languish. There’s just something really confining about trying to stick with a list when I am grocery shopping. But I love grocery shopping! It’s such a treasure hunt. I never know what I’m going to find and when I find something amazing, my list would go out the window anyway. So, listshmist. The other week, for example, I wandered into Central Market and found Marconi peppers. They were so very pretty that I had to have them. So, I bought six and made up this recipe. 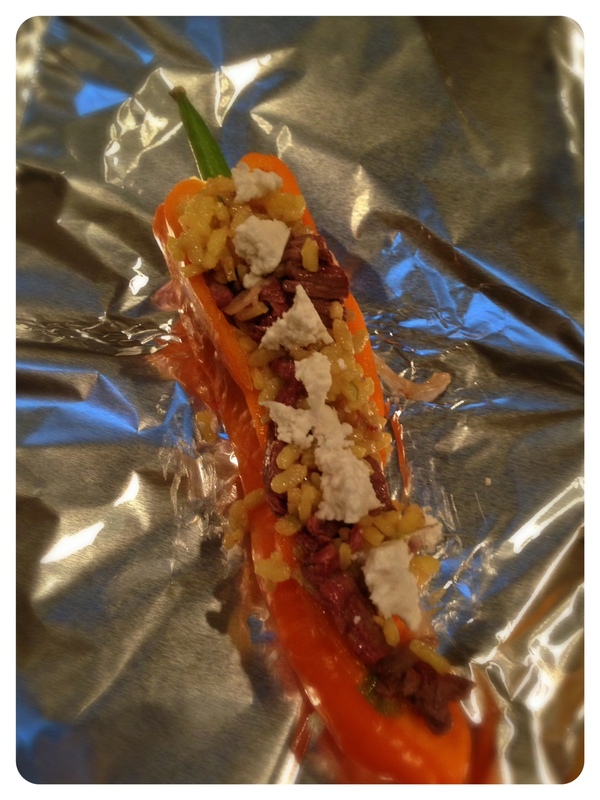 I like this dish because it capitalizes on the beauty of the peppers…and it tastes pretty darned good. 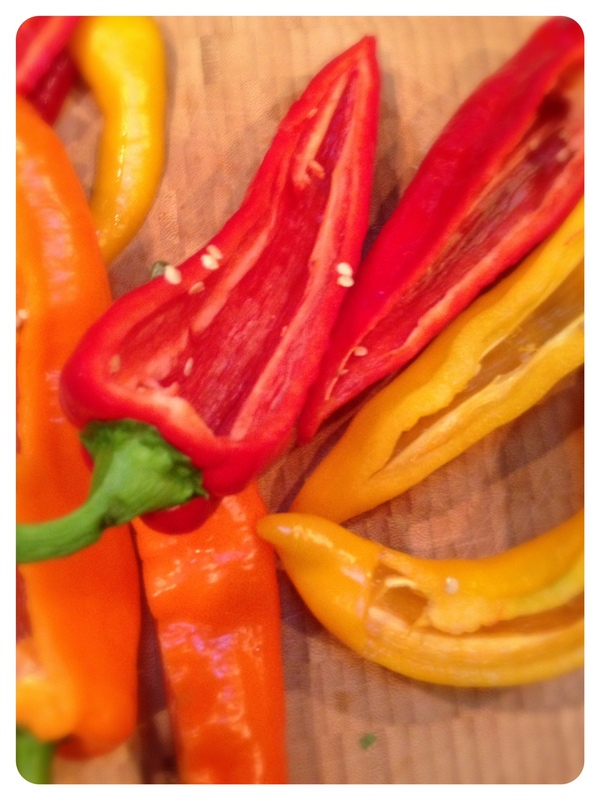 6 Marconi Peppers – You can use any sweet or mildly hot pepper you like. Steak Marinade: ¼ cup olive oil, juice of a lime, 1 clove of chopped garlic, cilantro, ¼ tsp of cumin, pinches of salt and pepper. 2 Cups Cooked Rice – You can use whatever you like. I used a yellow saffron rice for this recipe. 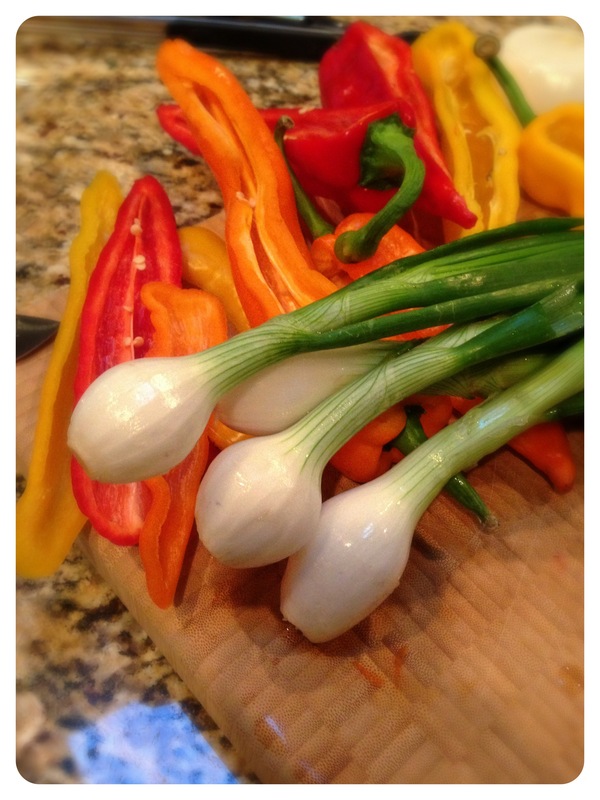 3 Bulb Onions – These look like scallions, but they are bigger. If you can’t find them, substitute scallions. Depending on size, you will need about 5 scallions to equal three bulb onions. Mix up the marinade for the steak. It’s that easy. Just measure, chop, and combine the ingredients listed above. Place the steak and marinade in a Ziploc bag or shallow dish. Marinate for up to 4 hours in the refrigerator. Prepare your rice so that it is ready to be part of the stuffing. Heat up your grill. I have no advice for you on temperature. I have a Weber kettle with a gas ignition and I get lost with all of their different “direct medium” and “indirect” stuff. Here’s a good little guide. Slice the top off of each pepper length-wise. Discard the seeds. Don’t cut the pepper in half – you want a deep enough pepper to hold your stuffing. You may opt to keep the parts of the pepper that you slice off and chop them to mix into the stuffing or reserve them for another recipe. Slice up your bulb onions. Let the steak rest for 10 minutes to seal the juices. Slice the streak into thin strips. In your sauté pan, drizzle a bit of olive oil in and sauté the sliced onions for a few minutes until they are just starting to get golden here and there. 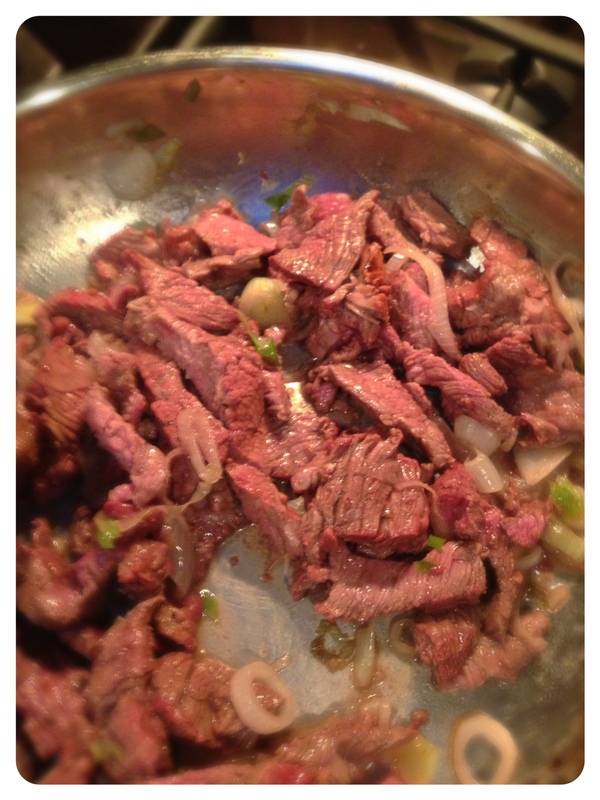 Add the sliced steak to the onions and combine to allow the onions to flavor the steak and vice-versa. When the steak and onions are cooked to your temperature liking, remove them from the pan and add them to the rice. Combine the steak, onions, and rice in a mixing bowl. Add salt and pepper to taste. Taste the mixture. Season as appropriate. Stuff the peppers with the steak and rice mixture. 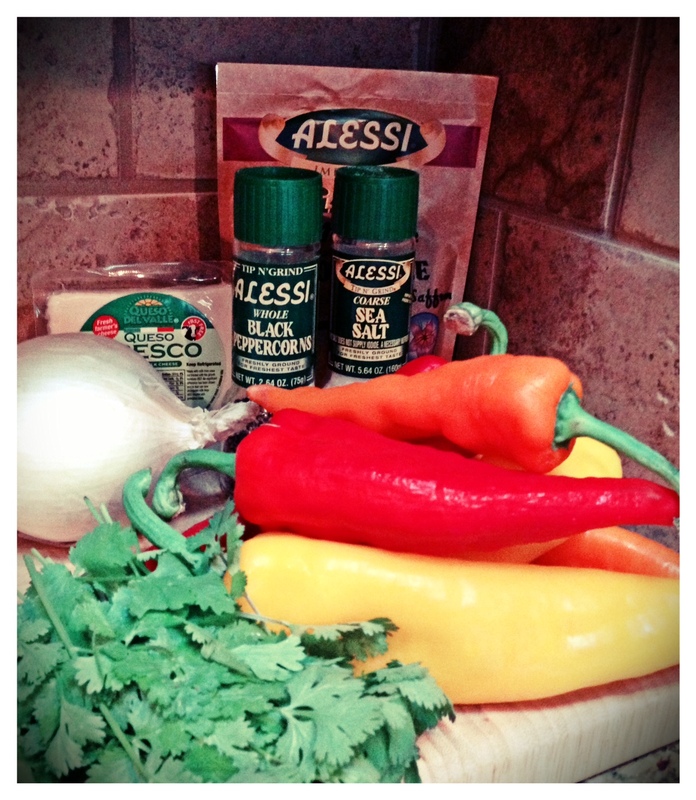 Top each pepper with cilantro and queso fresco. Wrap each pepper loosely in foil and grill the peppers to your liking. *Love. When I was growing up, my grandmother had a holy figurine at the door to great visitors. At my house, you are greeted by my Nolan figurine. Don’t worry – I’m not putting Nolan on par with the saints, but he’s pretty great anyway.